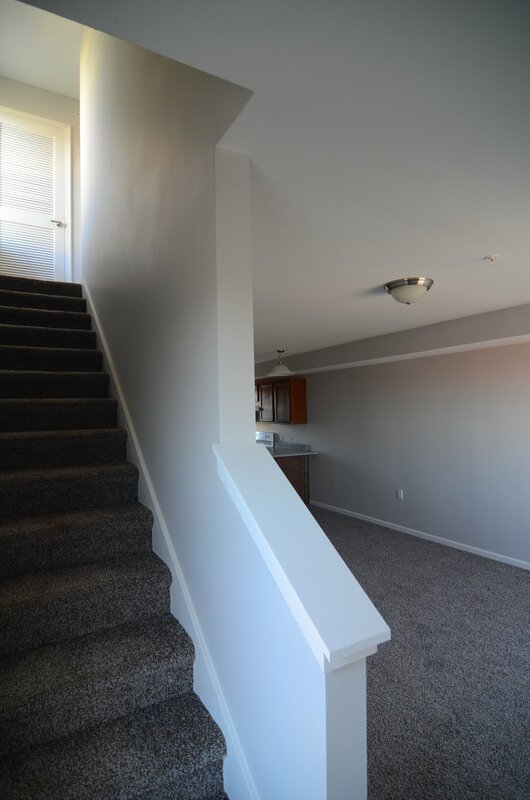 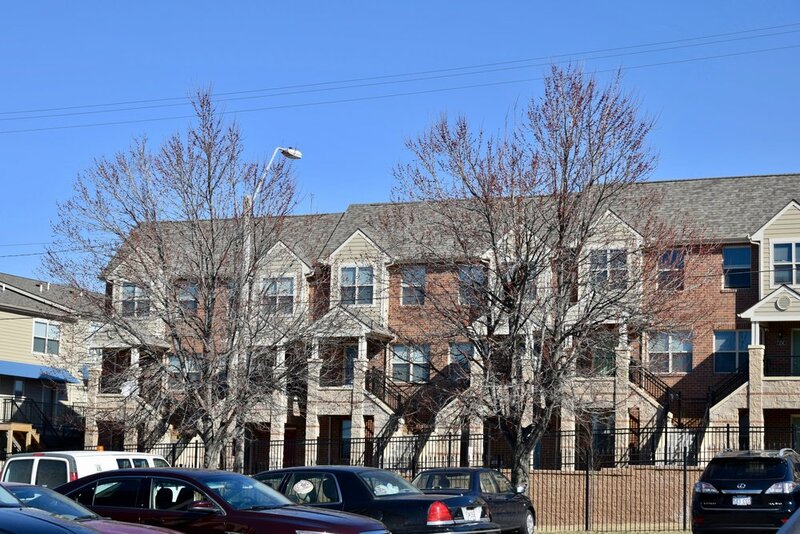 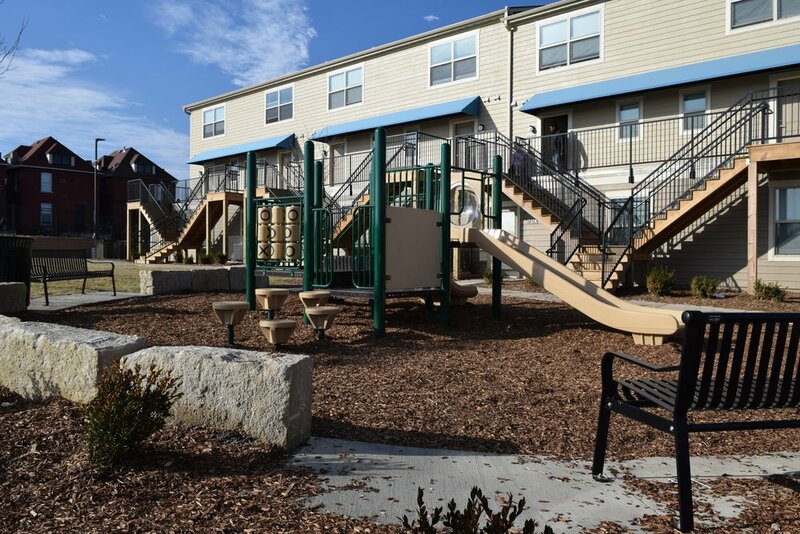 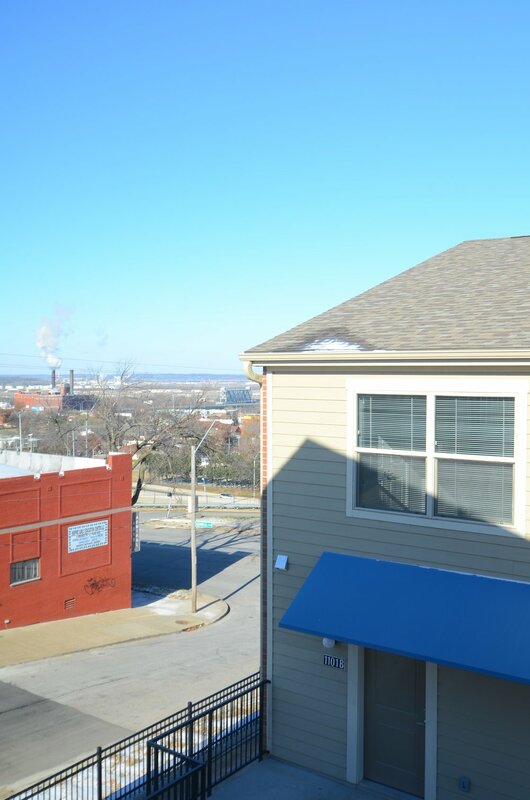 Rose Hill Townhomes provides permanent housing and support services for formerly homeless families in Kansas City's economically challenged East Downtown. 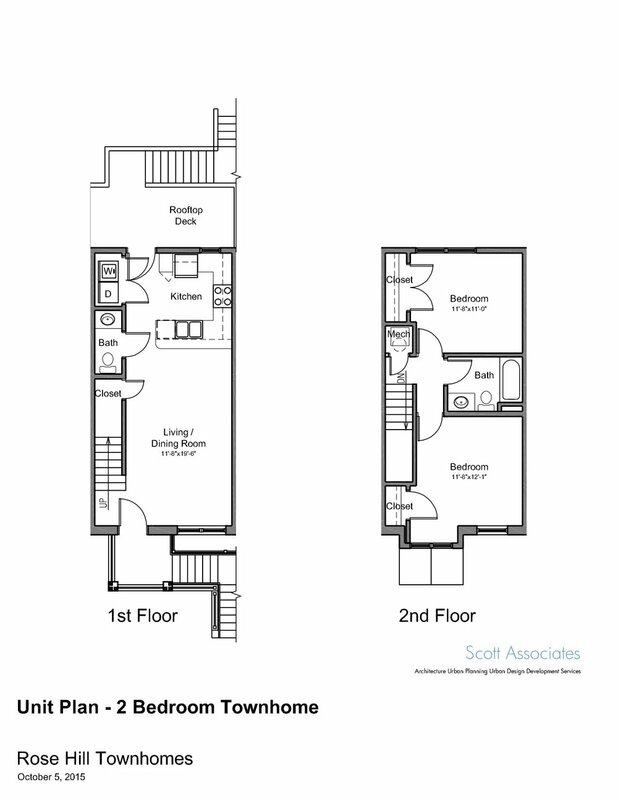 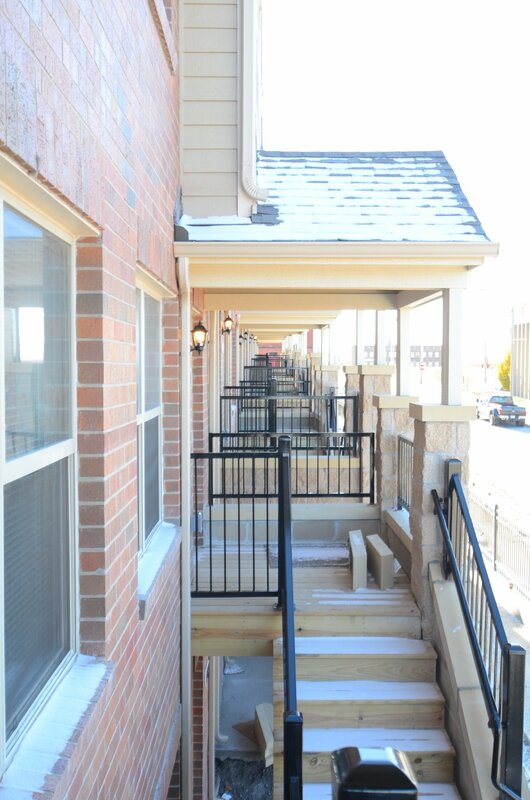 The project offers two-bedroom, two-story, townhomes above one-bedroom and three-bedroom flats on grade. 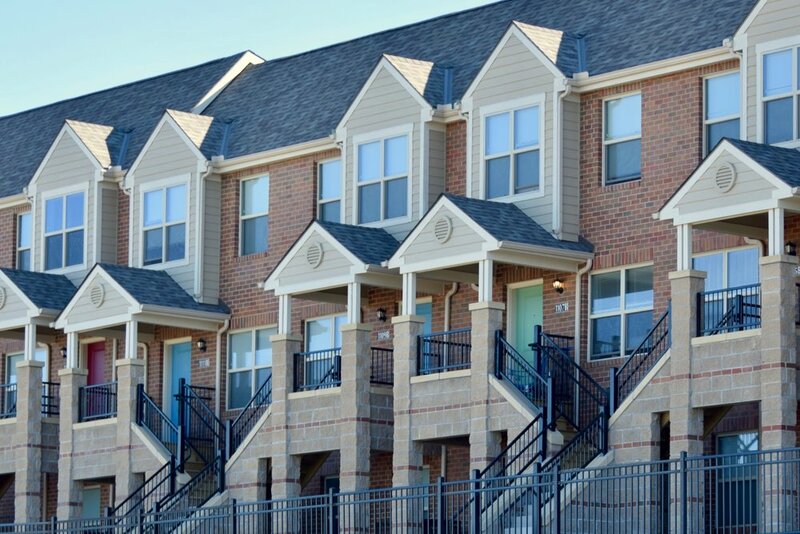 Instead of the internal double-loaded corridors of a typical apartment building, the townhome model gives each unit its own front porch, which promotes a direct connection to the neighborhood. 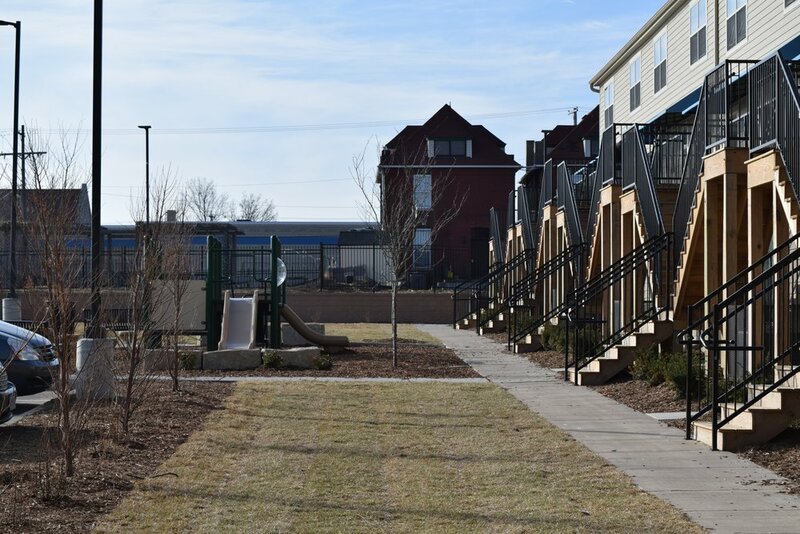 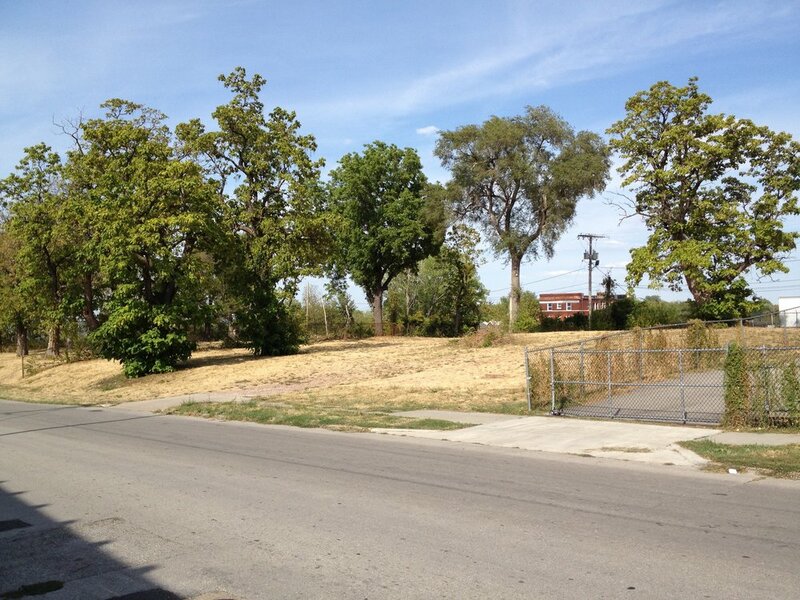 The site includes secure greenspace, playground, and off-street parking for residents. 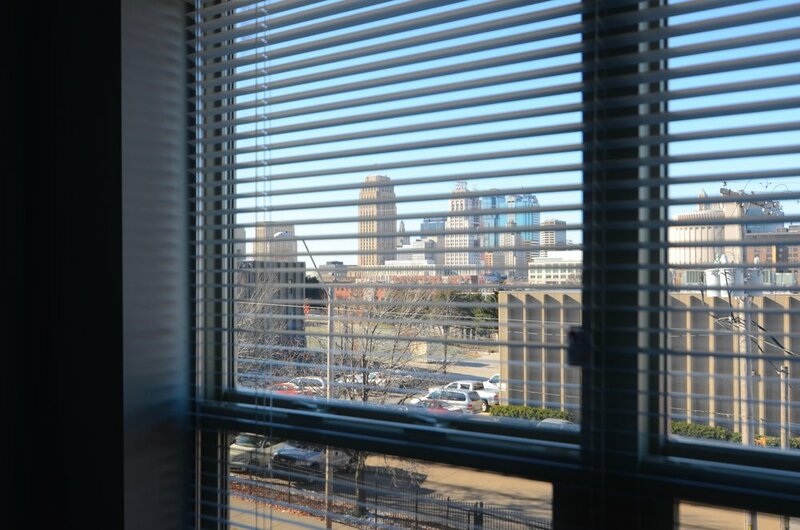 Support and social programs are provided by ReStart at its headquarters two blocks away.